HARARE – ZIMBABWE has appointed a team of SEVEN world prominent persons to investigate the violence in which SIX people were killed this month in the capital, HARARE. 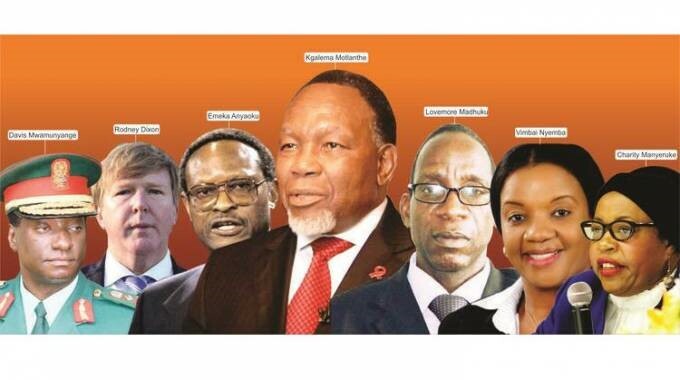 Former President KGALEMA MOTLANTHE of SOUTH AFRICA and his colleagues will be under the watchful eyes of BRITAIN and the rest of the world as they probe the horrific event that brought the city to a halt on ONE AUGUST. President EMMERSON MNANGAGWA has assembled respected minds from his country, the SADC Region, as well as from AFRICA, the COMMONWEALTH, and the UNITED KINGDOM – the former colonial power. There are TWO Professors, CHARITY MANYERUKE and LOVEMORE MADHUKU from the University of ZIMBABWE, and LAW SOCIETY OF ZIMBABWE Former President VIMBAI NYEMBA. From the SADC Region, the former SOUTH AFRICAN Head of State is with the former Chief of Defence Forces of the Tanzania People’s Defence Forces, Retired General DAVIS MWAMUNYANGE. The THIRD COMMONWEALTH Secretary General and NIGERIAN politician, Chief EMEKA ANYAOKU, is also on the commission, the FIRST of its kind in the history of the country. The SEVENTH member of the team is UNITED KINGDOM Queen’s Counsel Member RODNEY DIXON, a lawyer practicing from the TEMPLE GARDEN Chambers in LONDON and in THE HAGUE, home to the UN International Court of Justice. 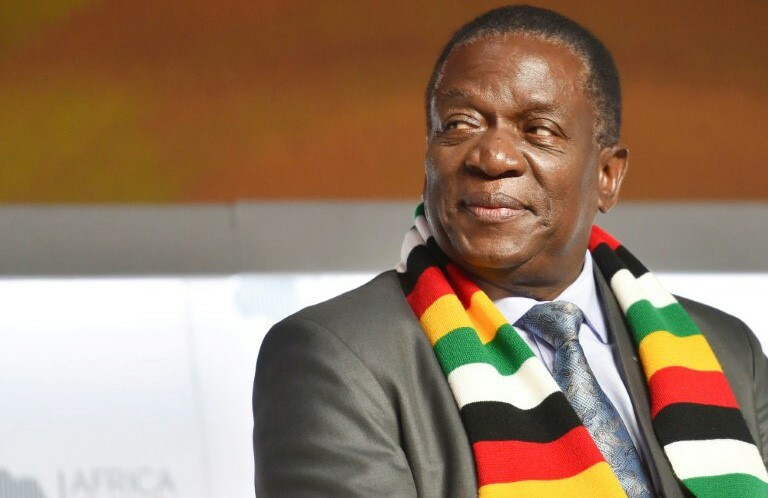 President MNANGAGWA says he has set up the Commission of Inquiry to fulfil what he had pledged to do, to address the sensitive matter in a transparent manner and in the interest of the public. 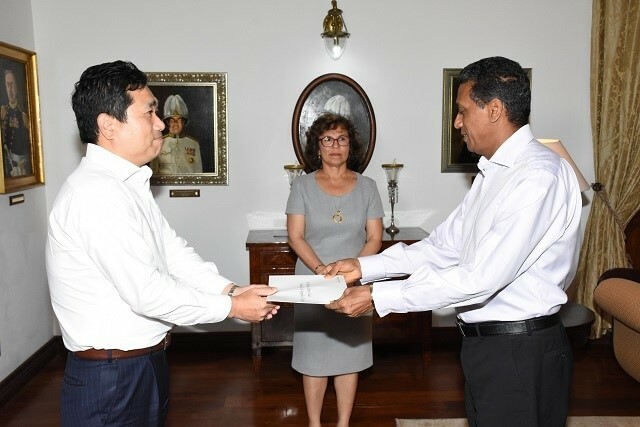 The commissioners are going to inquire into the circumstances leading to the violence, identify actors and their leaders, the motive, and the strategies they employed, as well as other vital issues. They will probe the intervention by the ZIMBABWE Republic Police in the maintenance of law and order, and investigate the circumstances that demanded involvement of the military. The team will consider whether, or not, the degree of force was appropriate to the arising threat to public safety, as well as to law and order; and ascertain the extent of damage or injury resulting in the process. Before they make recommendations, the commissioners have room to investigate any other matters they may deem suitable and relevant to the inquiry. 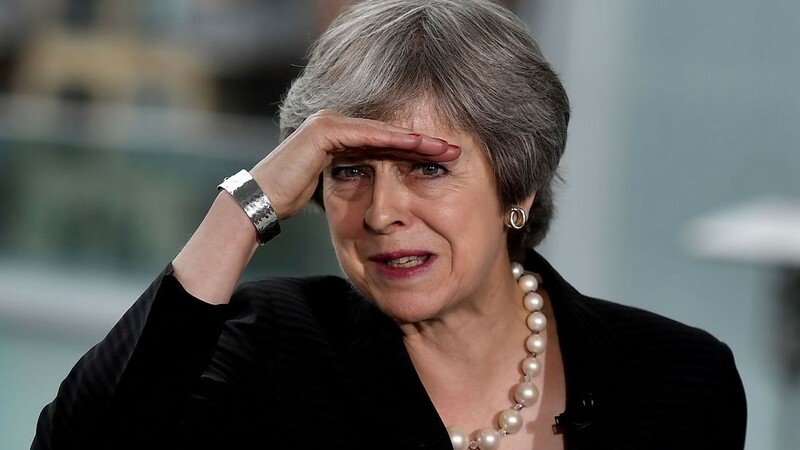 CAPE TOWN – Prime Minister THERESA MAY of BRITAIN has added her voice to the global endorsement of EMMERSON MNANGAGWA as the duly elected President of ZIMBABWE. She is in AFRICA on a THREE-day-long tour aimed to boost economic and trade relations with growing nations of the continent ahead of the BRITISH Exit from the EU next year. Prime Minister MAY has spoken to a SOUTH AFRICAN TV station during her trip to the SADC country, where she wished the former BRITISH colony well despite the post election violence. She says ZIMBABWE now has a chance to move forward because the new Head of State is making what she describes as a very important statement regarding the FIRST of AUGUST event. Without admitting directly her MNANGAGWA endorsement, Prime Minister MAY says the ZIMBABWEAN Head of State is an elected President who has shown direction. She says she is pleased President MNANGAGWA has promised a commission to probe the violence by the opposition MDC ALLIANCE, which took to the streets of HARARE to protest ballots that were still being counted. At least SIX people were killed after soldiers called in to reinforce the overpowered police opened fire on the retreating protestors, who had started burning and looting both private and public property in a bid to shut down the city. Prime Minister MAY says people of ZIMBABWE should take the new leadership as an opportunity to shape the future of their country. 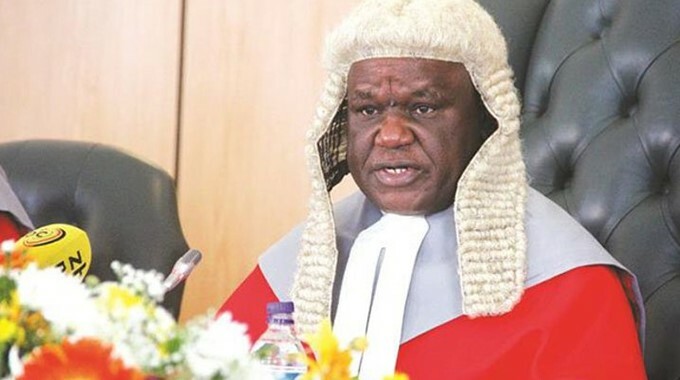 Chief Justice LUKE MALABA swore in President MNANGAGWA on SUNDAY after MDC ALLIANCE Leader NELSON CHAMISA lost his challenge of the ballot result last FRIDAY in the Constitutional Court. Current and former SADC and AFRICAN leaders either attended personally or sent envoys to the historic event, which Mr CHAMISA boycotted – while his shot-time ally, former dictator ROBERT MUGABE, sent his daughter and her husband to represent the family. However, the opposition politician says he is not done yet – and he is no longer interested in the local judiciary as he will seek redress in the AFRICAN UNION Human Rights Commission. From the appearance of things on the ground, Mr CHAMISA may be wasting time and giving his supporters false hopes – given that the AU Chairperson, President PAUL KAGAME of RWANDA, also graced the inauguration ceremony. Reports from the privately run media suggest he is considering mobilising ZIMBABWEANS to stage demonstrations against the MNANGAGWA Administration, which he claims is illegitimately in office. 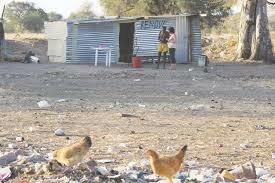 OKAHANDJA – Informal settlements in NAMIBIA continue to experience high levels of poverty, despite government efforts to correct the situation. NBC News says a 40-year-old resident of OKAHANDJA, a city of 24-THOUSAND people in OTJOZONDJUPA Region, has opened a soup kitchen in the VERGENOEG area. It quotes CHRISTIANA SWARTBOOI as saying she has come up with the project in order to help feed poor members of her vulnerable community. 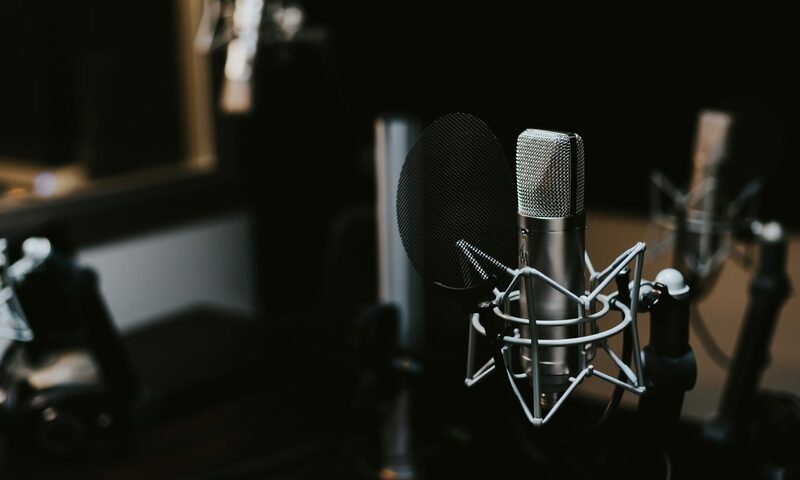 The national broadcaster says she opened the soup kitchen with the disadvantage and vulnerable children of the town in mind. Ms SWARTBOOI, who is not employed, says her kitchen caters for about 128 children from MONDAY to SATURDAY. She says it all started after a FIVE-year-old boy with his younger brother woke her up ONE morning asking for any leftover food. Ms SWARTBOOI says the event broke her heart; and she decided to open the kitchen and a playschool from which she makes a little amount of money. She says she uses the earnings to buy food and keep the soup kitchen running, but the business faces some challenges such as lack of water, sanitation facilities, and electricity. However, Ms SWARTBOOI says despite all the difficulties, she still has big dreams for the project; and she calls on any GOOD SAMARITAN out there to help keep the soup kitchen running. Researchers and authors say the SADC country is undergoing a rapid transition from a rural-based society to one based largely in urban areas. They say the situation is most visible in informal settlements that accommodate poor families in shacks on the edges of towns. KONDOA – Smallholder sunflower farmers in the KONDOA District of TANZANIA are appealing to the government for support to expand their cropping and get reliable markets. The DAILY NEWS says they have told reporters they have been encountering a number of challenges in acquiring quality sunflower seeds, while the shortage of extension officers is also a serious production challenge. 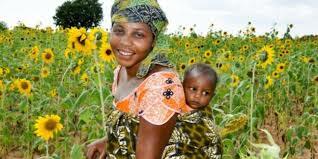 It quotes members belonging to a group of female sunflower farmers from the MBUMAMA Group of BUMBUTA Village in the district as saying they are failing to produce enough due to poor seed quality. The Chairperson of MBUMAMA says the 43 members of her group are from MBUBUTA, MAHONGO and NKUNDULU villages, and they produce a number of items including cooking oil from sunflower. THERESIA PANGALA says they also manufacture smear oil, mosquito repellents, shoe polish, as well as special oil for treating a variety of skin diseases. Another member of the organisation, HALIMA NYERESA, says they produce the goods using very simple facilities and, as a result, they are not yet benefitting much – due to poor markets. She says the vision of their group is to set up a vast factory for massive output of sunflower products like refined cooking oil. The women say they welcome any possible sponsorship from the private and public sectors to realise their ambitions. HARARE – People of ZIMBABWE are looking forward to a period of serious economic, infrastructural and social developments following the highly contested general elections last month end. The incoming government faces a tough task ahead, given the state of affairs in almost every sector. After TWO decades of global isolation under the former dictator ROBERT MUGABE, the country has witnessed significant State efforts to reengage the international community in the last NINE months. 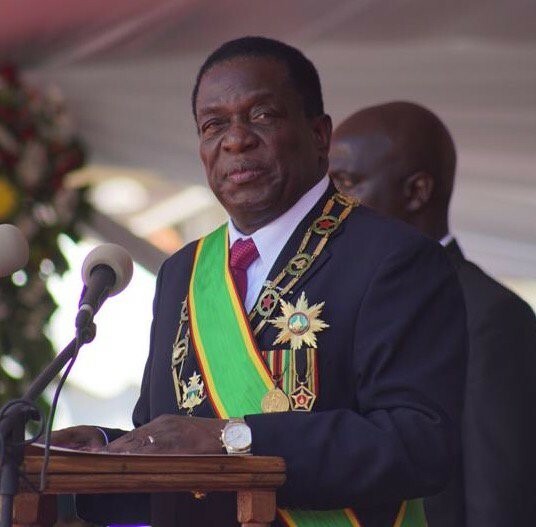 President EMMERSON MNANGAGWA was quick to solicit for and win the SADC regional and AU continental support following what has generally passed as the soft coup against his former leader. Mr MUGABE had presided over an economy that he ran down for some 37 years during which he literally ruled with an iron fist until he provoked the anger of the former colonial power, the UNITED KINGDOM. Faced with imminent defeat by the then newly formed, labour-backed MOVEMENT FOR DEMOCRATIC CHANGE in 2000, he allowed a chaotic land repossession to retain the support of liberation war veterans and rural masses. The result was displacement of almost all white farmers and a crippling withdrawal of capital from both agriculture and industry, hitherto mostly run by the affected producers, who were mainly of BRITISH origins. BRITAIN had respondent to the farm invasions by lobbying the EU and AMERICA to impose sanctions on its former colony, thereby starting a long period of suffering that has seen millions leaving the country as economic refugees. After the military-led mass protests in NOVEMBER 2017, President MNANGAGWA has been negotiating with the FIRST World and other powerful economies globally ahead of the just ended general elections. A number of foreign leaders as well as business delegations have visited ZIMBABWE and pledged massive investments into the country. The trend promises to continue after the MNANGAGWA victory in the ballot and against the subsequent Constitutional Court challenge by opposition MDC ALLIANCE leader NELSON CHAMISA. HARARE – Police in ZIMBABWE have dismissed a social media message claiming they have barred members of the public from entering the city centre of the capital, HARARE. 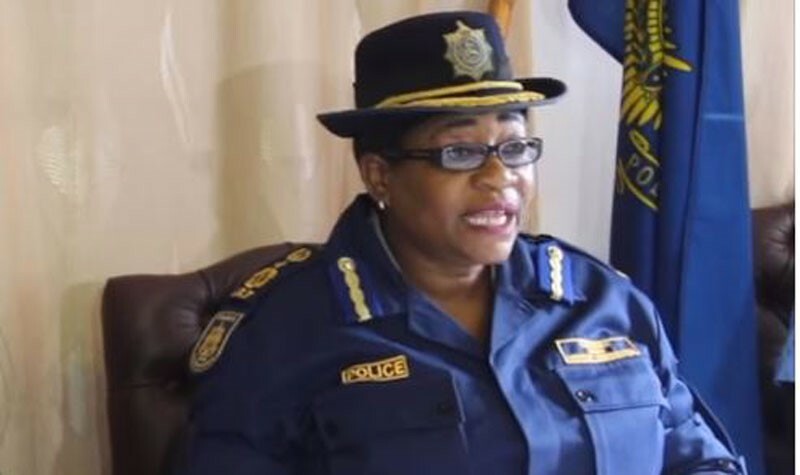 Force Spokesperson Senior Assistant Commissioner CHARITY CHARAMBA has issued a statement on the net, saying people should disregard the mischievous communication because it aims to cause false alarm. She says members of the public are free to continue with their daily businesses because the increased presence of the police simply aims to ensure order and security ahead of the crucial Constitutional Court ruling this afternoon. Senior Assistant Commissioner CHARITY CHARAMBA says the authorities have blocked a number of roads around the Court as earlier advised, and people should cooperate with officers on duty when going into the Court premises. The alarmist message comes as the Court is due to decide on the petition by opposition MDC ALLIANCE Leader NELSON CHAMISA against the 2018 presidential election result at 14:00 hrs GMT. The NINE judges have listened to lawyer of the Applicant and the 25 Respondents, including President EMMERSON MNANGAGWA and Electoral Commission Chairperson PRISCILLA CHIGUMBA. President MNANGAGWA will be inaugurated on SUNDAY afternoon if he wins the argument against the challenge to his victory. WINDHOEK – The steadily growing, but alarming, rate of unemployment in NAMIBIA is threatening to disturb the social fabric of the SADC country. NBC News says a group of jobless graduates petitioned Prime Minister NETUMBO NANDI-NDAITWA ONE month ago over lack of jobs for them and their colleagues nationwide. It says they are now threatening to occupy the offices of the Premier and the Vice President if they do not get favourable answers to their demands within the next ONE month. The group says they have given enough time to the government to come up with a solution to national unemployment problems, which its members blame on corruption acts like nepotism. They say young university graduates are frustrated to see their ambitions shattered because it is virtually impossible to find employment in NAMIBIA. NBC News says AFFIRMATIVE REPOSITIONING Leader DIMBULUKENI NAUYOMA has addressed the media in the capital, WINDHOEK. He says his group, aimed mainly to secure land for the poor, is mobilizing transport for more than THREE-THOUSAND youths countrywide to camp at the Prime Minister’s office indefinitely. He says the authorities collect information each year to plan for the nation, but it appears as though they do not use the figures they gather to come up with solutions to create jobs. The national broadcaster says the development comes amid reports saying the 2017 rate of unemployment among the NAMIBIAN youths between the ages of 15 and 34 was 43 percent. It quotes the AFFIRMATIVE REPOSITIONING as saying the country has a total labour force of more than 570-THOUSAND, against more than 200-THOUSAND unemployed young people. The AFFIRMATIVE REPOSITIONING is a radical movement aimed to improve the socio-economic conditions of urban youths; and it uses social media platforms to mobilise residents to apply for small land titles from municipalities. JOB AMUPANDA, DIMBULUKWENI NAUYOMA, and GEORGE KAMBALA started the group in NOVEMBER 2014, when they achieved a wave of land applications in WINDHOEK, before spreading to other towns. The AFFIRMATIVE REPOSITIONING came into being after the THREE men cleared land in the affluent KLEINE KUPPE Suburb of the capital and named it ERF Number 2014. They cited high rental prices in town and nepotism in the municipality as reasons for their actions, but the authorities declared the move illegal land grabbing. All the THREE men were in the ruling SWAPO Party Youth League, with AMUPANDA serving as Secretary for Information, Publicity and Mobilisation as well as member of the Executive Committee. The party Top FOUR at the time, former President HIFIKEPUNYE POHAMBA, then Vice-President HAGE GEINGOB (now President), Secretary-General NANGOLO MBUMBA (now Vice President), and his Deputy LAURA MCLEOD-KATJIRUA fired the trio. HARARE – Anxiety has gripped ZIMBABWE ahead of a Constitutional Court verdict on the petition by the opposition MDC ALLIANCE against the 2018 Presidential Election result. Alliance Candidate NELSON CHAMISA filed a variety of serious allegations against the Electoral Commission, ranging from withholding voter information, abuse of voter rights, cooking up ballot figures, and many others. He has asked the Court to nullify the result and set aside the declaration of President MNANGAGWA as duly elected Head of State, to allow for a runoff or a rerun of the poll. However, the Constitutional Court judges have taken his Head Lawyer Advocate THABANI MPOFU to task over TWO major issues: the service of court papers and lack of primary evidence to support the application. Chief Justice LUKE MALABA is leading a Bench of EIGHT judges from the Supreme Court, including Deputy Chief Justice ELIZABETH GWAUNZA and former Electoral Commission Chairperson Justice RITA MAKARAU. Others are Justices PADDINGTON GARWE, CHINEMBIRI BHUNU, BARATKUMAR PATEL, BEN HLATSHWAYO, TENDAI UCHENA and LAVENDER MAKONI. The veteran judiciary experts have asked Advocate MPOFU why his client has made an application that is building a case out of secondary evidence, while ignoring primary evidence and clear-cut court processes. ONE privately owned daily, the NEWS DAY, says the primary evidence acquisition would require opening the sealed ballot boxes to inspect the actual votes cast in the presidential poll, and verify the alleged rigging. Advocate MPOFU has admitted to the Court they filed Mr CHAMISA’s application late but has also given an explanation, which remains for the Court to decide on. Advocate MPOFU has asked the judges to nullify the ballot outcome on the grounds of his client’s own figures – which do not tally with the contents of the ballot boxes – as well as a report by a private election analyst. Chief Justice MALABA has however, insisted the Court deals with facts and material evidence, not speculative mathematical figures that ignore the original and credible documents. Advocate MPOFU says there is no need for the MDC ALLIANCE candidate to open any ballot boxes for primary evidence because the Electoral Commission has admitted it made errors during the process, which led to the revision of the figures THREE times. However, the judge has insisted it would have been an advantage for the applicant and easier for the Court to make an informed decision if the original documents signed by the polling agents in the presence of observers were available. Mr CHAMISA and his legal team had 49 hours after the declaration of the results to demand opening of the boxes and recounting of the votes, according to the electoral law; but he chose to ignore that right. The Constitutional Court has further dismissed the EU Report on the just-ended elections, which almost entirely supports the allegations by the applicant; but which the Judge has dismissed as of no use in the case since it gives no evidence or facts. On the other hand, President MNANGAGWA’s legal team led by Advocate LEWIS URIRI has also rubbished the MDC ALLIANCE petition; which it says should not be heard in the Constitutional Court. Advocate URIRI says the application is relying on false numbers and gives no admissible and credible evidence to the Court to substantiate the allegations by Mr CHAMISA. He says Mr CHAMISA is making allegations of criminal nature against President MNANGAGWA, which gives the applicant an obligation to prove his case beyond reasonable doubt. Advocate URIRI says the evidence must be clear and in accordance with competent rules of analysis, yet Mr CHAMISA’s petition lacks direct evidence as required by the law. 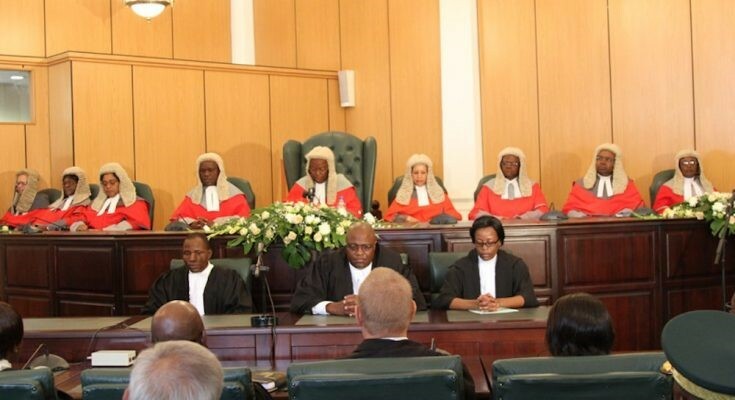 HARARE – The Constitutional Court of ZIMBABWE is this FRIDAY set to give judgement on the opposition MDC ALLIANCE petition against the 2018 presidential election result, following a day long televised hearing WEDNESDAY. Chief Justice LUKE MALABA has announced the decision after submissions by lawyers of the Applicant and the 25 Respondents, including President EMMERSON MNANGAGWA and Electoral Commission Chairperson PRISCILLA CHIGUMBA. 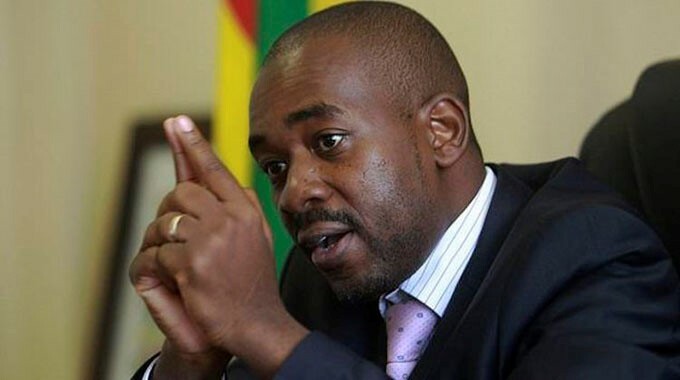 MDC ALLIANCE Leader NELSON CHAMISA is challenging the victory of President MNANGAGWA in the 30 JULY ballot, claiming the Electoral Commission rigged the poll massively. He says since the Electoral Commission announced a voter turnout of 72 percent of slightly above FIVE-MILLION-600-THOUSAND, meaning the votes cast should be slightly more than FOUR-MILLION-32-THOUSAND. Yet, Mr CHAMISA says, the Commission announced a total FOUR-MILLION-775-THOUSAND-640 voters and before issuing a compact disc with a total FOUR-MILLION-774-THOUSAND-878 voters. He says either of the TWO figures leaves a difference of more than 700-THOUSAND ballots that cannot be accounted for; and his lawyers, led by Advocate THABANI MPOFU, are representing him before the NINE-member panel of judges. On the other hand, Mr CHAMISA says the Commission initially gave President MNANGAGWA 50-POINT-EIGHT percent of the total ballots but later revised the figure to 50-POINT-SIX-SEVEN percent. He says the Court should invalidate the results and order a run-off of the presidential ballot, because President MNANGAGWA failed to win the mandatory 50 percent-plus-ONE-vote of the total. Among other serious allegations against the electoral body, basing on findings by what his team presence as an expert elections analyst, Mr CHAMISA claims the Commission denied some 40-THOUSAND teachers a chance to vote during the elections. However, the judges have asked Advocate MPOFU why his client is concentrating his accusations against the 23RD Respondent, Electoral Commission Chairperson, when the petition is against the FIRST Respondent – President MNANGAGWA’s victory. They have further queried why the Applicant is choosing to dwell on secondary evidence, when the ballot boxes are still available and sealed: and while the lawyers have had legal right to open them. Advocate MPOFU says they are targeting the Commission because its alleged omissions and deliberate manipulation of the ballot figures have allegedly benefitted the FIRST Respondent. The Lawyer also says Mr CHAMISA has seen no need to open the ballots because the Electoral Commission figures, allegedly altered THREE times, are enough proof the election result is not credible. President MNANGAGWA, through his team of legal experts led by Advocate LEWIS URIRI, says Mr CHAMISA’s application FIRSTLY does not comply with the rules of the Court and the Constitution. He says, furthermore, the applicant must also be criticised for what he describes as the grossly childish manner in which Mr CHAMISA prosecuted the petition, and the Court must dismiss it. He says the opposition leader made unproven claims of suffering overall prejudice of 345-THOUSAND-784 votes due to polling station specific cases of voter intimidation, voter coercion, and/or otherwise potential manipulation. President MNANGAGWA says in fact, the expert in the opposition report FIRST claims an overall prejudice of the applicant of 305-THOUSAND-784 votes, and without explanation changes the number some few paragraphs later to 345-THOUSAND-784 votes. He says while the ballot tallies give him TWO-MILLION-455-THOUSAND-559 votes, which equates to 50-POINT-SEVEN percent of the votes cast, the figure is still enough for him to win the election comfortably. President MNANGAGWA, who took over from former dictator ROBERT MUGABE last NOVEMBER, says there is nothing in the source documents of Mr CHAMISA to support any allegations of voter intimidation. He says the MDC ALLIANCE Leader has not proven violation of the V-11 forms and any alteration of figures in favour of the ruling party, while his application relies on alleged mathematical anomalies with no factual foundation. 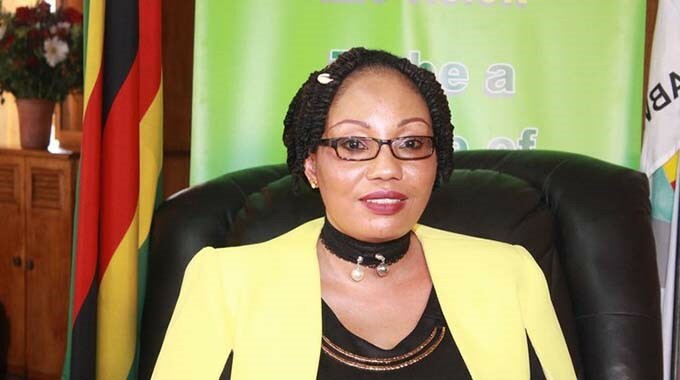 The Electoral Commission has also dismissed the assertions by Mr CHAMISA, saying the applicant does not present any proof of the serious allegations against Commission Chairperson CHIGUMBA and her officers. 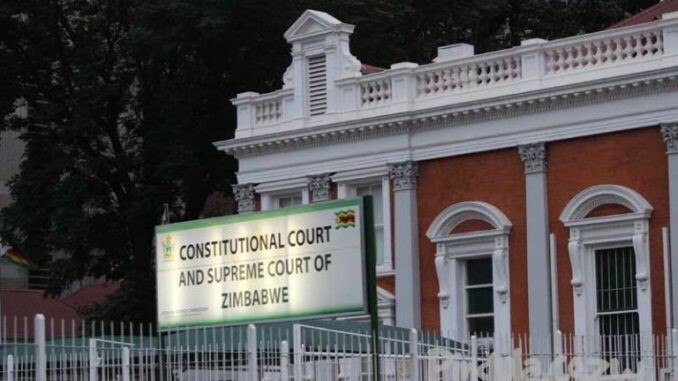 The Constitutional Court ruling on the electoral petition is to take place at 14:00 hrs tomorrow; after which President MNANGAGWA’s inauguration takes place within 48 hours if he wins the case.